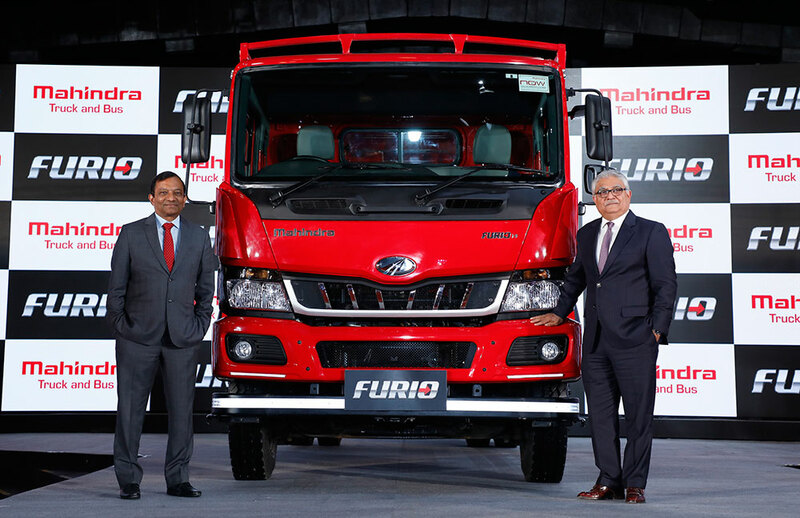 Mahindra’s Truck and Bus Division (MTB), a part of the USD 20.7 billion Mahindra Group, today announced the commercial launch of the FURIO, its brand-new range of Intermediate Commercial Vehicles (ICVs) with an unprecedented guarantee of More Profit or Truck Back. FURIO marks the company’s entry into the ICV segment and is set to make Mahindra a full range commercial vehicle player. To be available across India from today, FURIO prices start at Rs 17.45 lacs for the FURIO12 19ft HSD variant and Rs.18.10 lacs for the FURIO14 19ft HSD variant (ex-showroom Pune). The launch of the new FURIO range of ICV trucks with an unprecedented customer value proposition of “Get More Profit or Give the Truck Back”, is a unique and pioneering promise, which reflects our serious commitment to the segment and confidence in our product. It is also an outcome of substantial investments in the CV business. Today we are probably the first and possibly the only CV brand in the world to have an end-to-end presence from 3 wheelers to 49 T truck. With Pininfarina design, the FURIO is set to be a game changer for us and perhaps for the industry, giving the new truck one of the safest, most ergonomic and comfortable cabins that will set new standards. The ICV category is highly competitive making the entry of a new player seem difficult. However we are confident of making our mark with an unprecedented Customer Value Proposition, focusing on maximizing earnings and ensuring the peace of mind of our customers. Our strong technological acumen and ability to gather and process customer insights have helped us devise category best products. With the launch of the Mahindra FURIO, with guaranteed higher profit, I am confident that the ICV segment will never be the same again. FURIO not only offers best-in-class mileage, the highest Payload, lowest TCO with rugged aggregates but also ensures best-in-class Safety and Comfort in a segment which has the maximum high-speed applications among all CV segments in India. It also comes with the first time ever 5 years/ 5 lakhs kms free maintenance guarantee (free AMC) and 5 years / 5 lakhs km transferrable warranty.